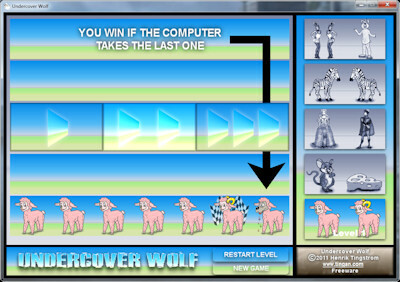 Undercover Wolf is a small puzzle game. You play against the computer. You win if you not take the wolf, the cat, the dragon, the lion or the rabbit hunter.